Leave it to my slightly OCD hubby to come up with that one!! Although it is a good idea. I hope you feel better! I will not want turkey dinners until Nov. for sure! 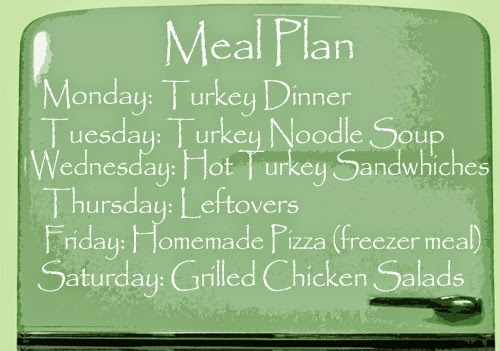 I love meal planning as it helps save us some money. 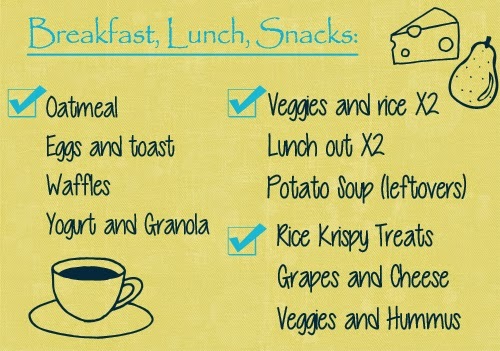 I've just recently started meal planning my breakfasts and lunches as well because we still over spend for those meals.